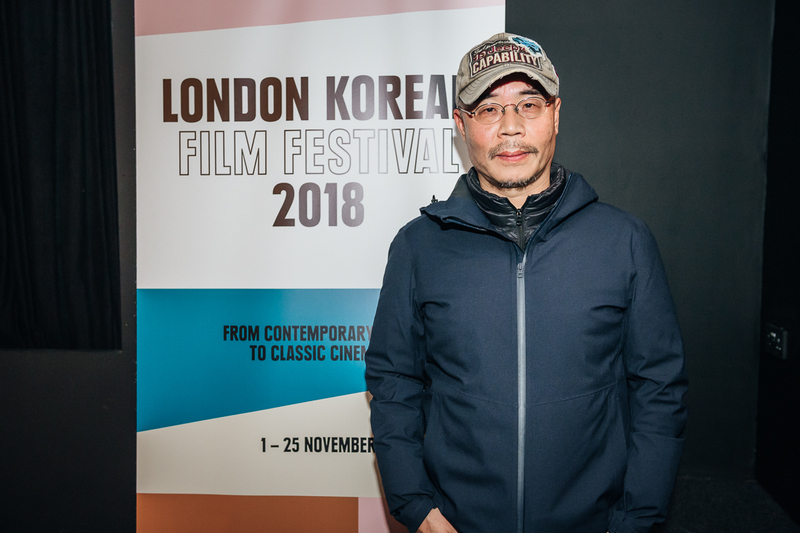 Lee Myung-se came to the London Korean Film Festival to introduce one-off screenings of three of his early films and his latest work Can’t Live Without You (2017), and to answer questions. He did so in a spirit of great joviality, happy to receive feedback from the audience and animating his answers with anything from personal anecdotes to reference to Hollywood legend and the history of visual arts, literature and philosophy. The following is condensed and edited from a longer conversation which took place at the Korean Cultural Center in London on 11 November. Paul Caspers: Why did you turn to marriages and affairs after Gagman? Lee Myung-se: When I was studying to make films, I was essentially asking myself only two questions: ‘what is film’ and ‘what is love’. The answers to both came to me at the same time. Gagman is the realization of the first answer, and My Love My Bride that of the second. Not that the questions have been fully answered: My search will continue, both in action films and love stories. The films screened here are presented as a trilogy. Do they belong together in your mind? They weren’t meant to be a trilogy, and the films don’t really relate to one another. The differences between them are also based on what the investors at the time wanted to see. But you could see them together as a ‘narrative of love’. At a mini-retrospective of my work in France some years ago, my film M was perceived by the audience to be difficult. But when people saw it after screenings of two of my previous films [First Love and Their First Love Affair], it helped them understand and accept M. I thought this was interesting, so I suggested this combination to the LKFF. But this strand of the festival focuses on the 1990s, so that’s why these three films are here. None of them seems dated to me, they’re still very fresh. How do you look back on them? I’m very happy that you say this, because it’s my biggest wish for them to survive in any era. The actor Park Joong-hoon [the husband in My Love, My Bride and the detective in Nowhere to Hide] has said that my films feel old and new at the same time, and new all over when you see them again. I think this is fitting. I also take extra care in my films to remove elements that tell you when and where they take place. For example, I often show just the day rather than the month or year, and change the colours in the setting and backgrounds of the locations. I want my films to go beyond time. You’ve said before that you need images in your mind before you can write a script. Does that include things like the inserts, animations, thought bubbles and such in My Love My Bride? The sort of cinematography I’m pursuing is similar to the way of the sword as described by Miyamoto Musashi. He wasn’t taught to follow the path of a certain clan, but learned his skill by himself, so his style was very free. The purpose of any way of the sword is to cut off the head of your enemy, not to realize your clan’s style of fighting to perfection. All the images I put on the screen are designed to capture the audience, to hold their attention. I don’t follow any code for an action film nor for a love story. As nothing is set in stone, I’m free in my approach. So it’s ironical that critics are now speaking of a ‘Lee Myung-se style’. But how much of what we see and hear on screen is preconceived before shooting and post-production? You can look at it both ways. I visualize or conceptualize everything, and absolutely nothing. I tell my staff that the shooting script is only a guideline, and the mise-en-scene is a living beast. I let the story flow, much like an interview: I might plan to say certain things, but end up saying something different, depending on the atmosphere. So I’ve thought of everything, but also of nothing in advance. Again, the concept is similar to Miyamoto’s, and also to Laozi’s philosophy in the Zhuangzi, of being like water. It doesn’t change in substance, but its form may change depending on the shape of the container. I hear that other directors, like Park Chan-wook or Bong Joon-ho, shoot films exactly according to the script. But human beings grow all the time, and what you’re thinking at the moment of shooting can’t be quite the same as what you were thinking months before, when you were writing. I don’t understand how they can they work like that. It seems like your approach to filmmaking is quite intellectual, but your way of working is more intuitive. And your films deal with philosophical issues, but don’t come across as highbrow. Well, that means I’ve succeeded. For people to be able to understand the story, it needs to be told through a medium that they can readily relate to. That’s why I show them something out of everyday life. You use the words ‘intellectual’ and ‘intuitive’ like they’re separate concepts, but they are part of the same thing. It’s about a harmony between the two, like yin and yang. How did your new short film come to be? The Korean broadcasting company JTBC approached me with a suggestion. The media reported that it took a long time to persuade me, but it was actually a very quick decision for me. They gave me complete discretion to do exactly what I wanted to do. I have my own production company so we worked together to bring it about. You were attached for some time to a film that didn’t get made. Any other reason why we haven’t heard more from you in the past decade? My period of silence is a story of conflict between money and creativity, between big data and an individual. I was preparing for a spy film called Mr. K, but what I wanted to do wasn’t exactly what the financers wanted. The rumors surrounding that project are still blocking some investments to this day. I’ve been wanting to do a film about my father, but while everyone liked the script, the consensus was that it wouldn’t make much money. Now I’m thinking of overhauling that project and first shooting a film more like Nowhere To Hide —an action film! Thanks are due to June Park for translation and to Tony Rayns for facilitating previewing of some of the films. How Old do Kids Need to be to no Longer Need Their Parents?